Natalie Della Rosa grew up in Massachusetts, but has lived overseas with her family for almost 10 years. 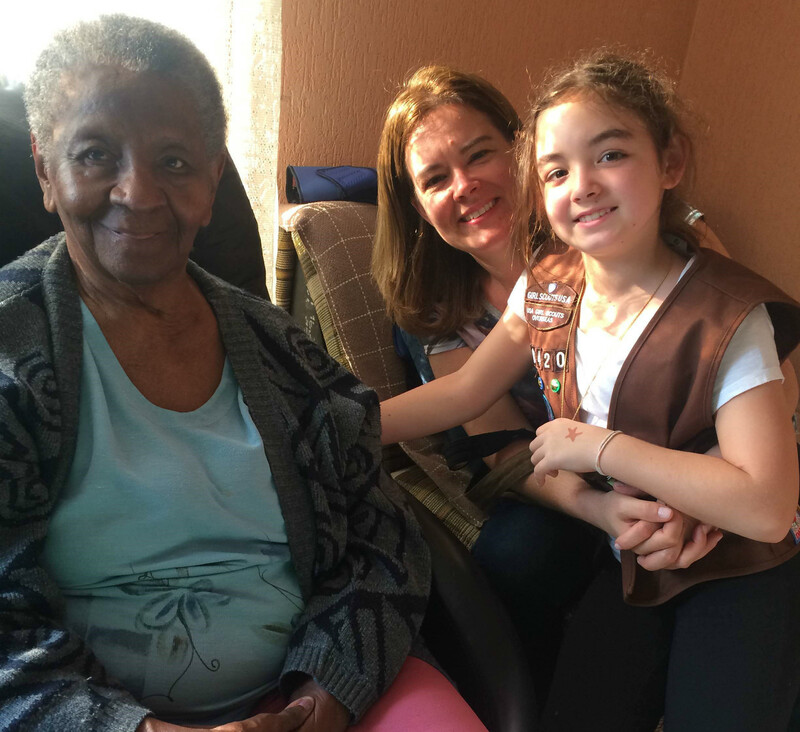 She and her daughter, Olivia, first got involved with USA Girl Scouts Overseas (USAGSO) through American friends in Argentina. An extension of Girl Scouts, USAGSO provides Girl Scout programming for nearly 17,000 members living in more than 91 countries outside the United States. When the family moved to Brazil when Olivia started third grade, they were relieved to learn that there was a USAGSO troop at Olivia’s new school. Olivia was able to meet and connect with new friends quickly and transition smoothly to life in a new country. The Brazilian troop began with six girls, and three years later, there are 6 Daisies, 10 Brownies, and 19 Juniors. 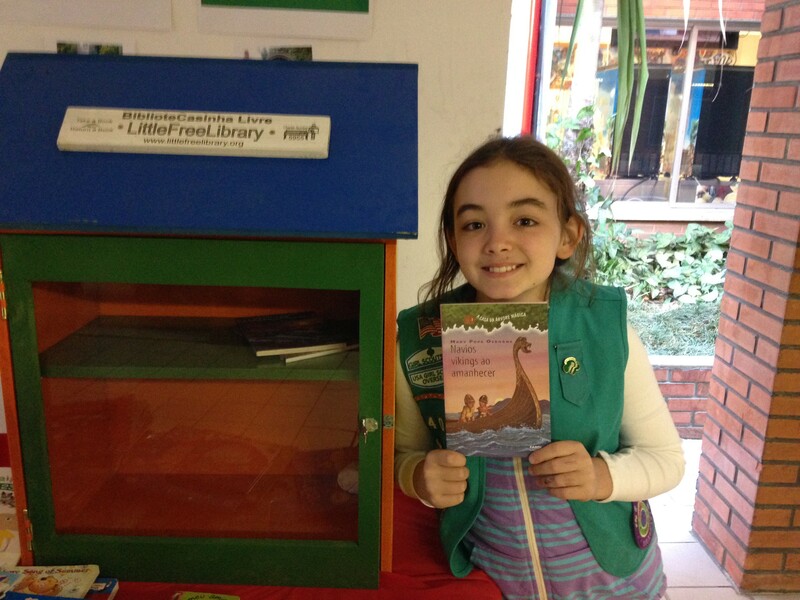 Through Girl Scouting, Olivia has learned new concepts and hands-on skills and has been a part of inspiring projects. In Argentina, the troop organized a read-a-thon to help spread awareness about the 31 million girls across the world who don’t have access to education. Then in Brazil, the girls earned their Inside Government badge, completed the Wonder of Water Journey, sang in nursing homes, and more. They also volunteer with the American Association Angel Party, a Christmas party for 250 orphans in the São Paulo community. Olivia’s favorite accomplishment in Girls Scouts so far is earning the Bronze Award. The girls raised money to build and fill two Little Free Libraries with books. The process involved planning, designing and constructing the libraries, and carefully choosing the books that filled them. The libraries were donated to two community centers in impoverished communities called favelas in São Paulo. The children were so excited to receive these books, as most of the families do not have any books in their homes. “This project really helped me see the leadership experience the girls get through Girl Scouts,” Natalie says.